There are so many things in parenthood that cause us to worry. 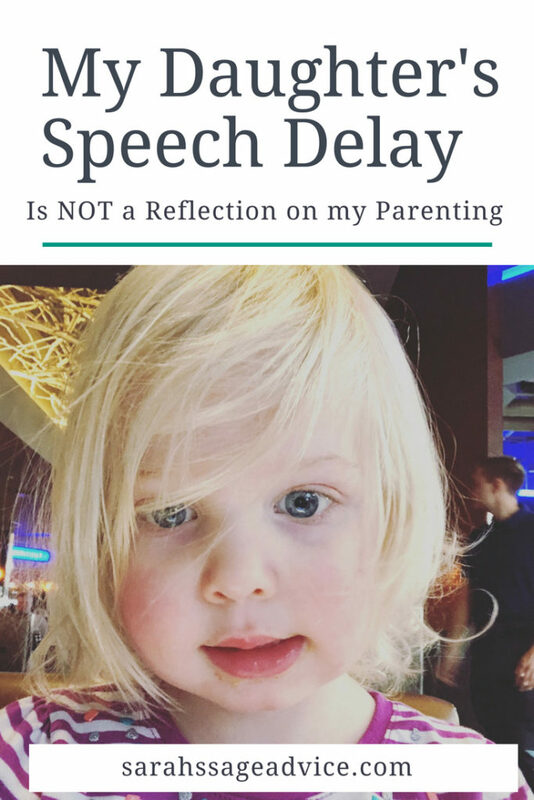 So many aspects that make us wonder, “are we doing well by our children?” My daughter was diagnosed with a speech delay at around 21 months old. She just turned 2.5 years old (30 months). At her 18 month check up our doctor suggested we watch it because she definitely was talking less then she should be. After a few months of really no change I made the move and had her doctor send a referral to a speech therapist. When we started speech therapy in early October my daughter said “ya” and that was really it. She did babble A LOT and she would say some words once or twice but then never again. Now, let me tell you everything I did. I’m by no means an absent mother. My kids are with me just about 24/7. I work part time but my kids come with me. I talk incessantly to her, I point out objects (cars, trees, birds), I TRY to read to her. My daughter is a bit of an independent soul she’d rather do it herself. Why then do people seem to think I’m not doing enough? I cannot tell you. I can tell you what does not help. It does not help to pass judgment. A small glance or comment. It does not help that my daughter is a big kid and looks older then she is. It does not help to give suggestions, especially considering most of the time I am either trying it, or have tried it. It does not help to ask if my daughter is autistic…. I don’t believe she is but you’re question just creates further worry. It does not help to ask if she’s been tested. She goes to speech therapy every week and all I hear from the speech therapist is positive feedback. That tells me my daughter is improving and doing well. It does not help to think or suggest my daughter is not smart. It does not help comparing my daughter to other children. My daughter is so many things. She is bright, she knows her shapes, colors, a lot of letters, she can count to 5, however, she does not say all of this clearly, but she knows it. How do I know? Because I know my daughter. When she sees a circle she consistently says “cle” when she sees a triangle she consistently says “gle” she knows the word but says the last syllable. She’ll get the rest, I reinforce it every time, she just needs time. What I am tired of is the judgment that comes with parenthood. It’s tiring and I do not understand it. Why do we put each other down? I do know I need to grow a bit of a tougher skin but given that I have chosen to be public with this blog it is coming up more. The tougher skin needs to happen. For instance, I posted my son on Instagram saying “ba ba ba” I had a mother comment how “It’d help if you repeated an actual word to him, my kids are bilingual and have been so since they were 1.5 years old.” I deleted it right away because you know what… that’s great for your child… but comparing and bragging are not helpful comments. Share your stories and experiences that are similar to show that mama they are not alone. Life is hard, parenting is the most challenging thing I’ve ever done. It is rewarding, joyful, tiring, frustrating, loving, and everything in between. Let’s be support for one another. Post on the causes of Speech Delay. As a mother of a child with a speech delay, THANK YOU! I absolutely loved this. Especially the part about pointing out what their strengths are! You are such an amazing mama! My son was late to talk as well. There was absolutely nothing wrong with him. And as you said, it wasn’t due to lack of parenting. In part, he was just so good at communicating in other ways that he didn’t really need to speak. (Once his little sisters were born he started talking a lot more!) Kids can’t grow in all areas at the same rate at the same time. So some kids might be improving their verbal skills while others are improving fine motor skills. They get there in their own time. And yes, speech therapy is awesome. It has helped my son so much. He thinks it is special play time and loves it. My son was just un-officially diagnosed with Expressive Language Delay – he can understand totally fine, it’s getting his own words out that has a problem – and you’re so right! it’s nothing to do with what a parent has or hasn’t done. Each child is unique in their pace and learning style! I’m hopeful and excited to see how your daughter progresses, as our kids are about the same age, and I know you’ll help her succeed! My son completely quit talking after 19 months. Of course, no one has anything nice to say and like your daughter, he is big for his age. I heard everything from he has autism to it’s due to my past (I’m a recovering addict) and now at 27 months and seeing two therapists a week for the last several months. He has over 250 words. The therapists stopped recording at that. Come to find out he is actually smarter than any 2 year old should be. He has something called sensory processing disorder which stopped him from talking for a while. I consider myself a strong woman and love my kids no matter what but you have no clue how many nights I cried myself to sleep scared that he was autistic or something else. And it turns out, he’s fine. Actually, better than anything I could ever imagine. 🙂 I’m sure your daughter will be phenomenal and she’s perfect for you. That’s all that matters. I feel I must also say that I mentioned people commented on my past due to my addiction having something to do with his speech. I have been clean for several years and never used a drug or alcohol while pregnant with him or for years prior to being pregnant. Nothing runs in my family. It’s just crazy how far ppl can go. People are so judgmental that way. There’s always something someone, usually the mom, is doing wrong. I think now too there’s such an emphasis on when kids should be talking that wasn’t around decades ago. My mom reminds me over and over that me and most of my siblings did not talk much until closer to three. I almost think we always expect too much. Thank you for sharing that. It definitely is rough. I usually am fine knowing she’s so very intelligent until someone questions me then I feel so very defensive. It’s exhausting. My daughter is now 2.5 and says a lot of random stuff she loves colors and shapes. We are working on two words together and Ms. I cannot get her to say Mama or More for the life of me. She’s getting there. I know she’s smart. Others just need to take the time to get to know her and not judge. You’re such a great mama. Your son is lucky to have you. 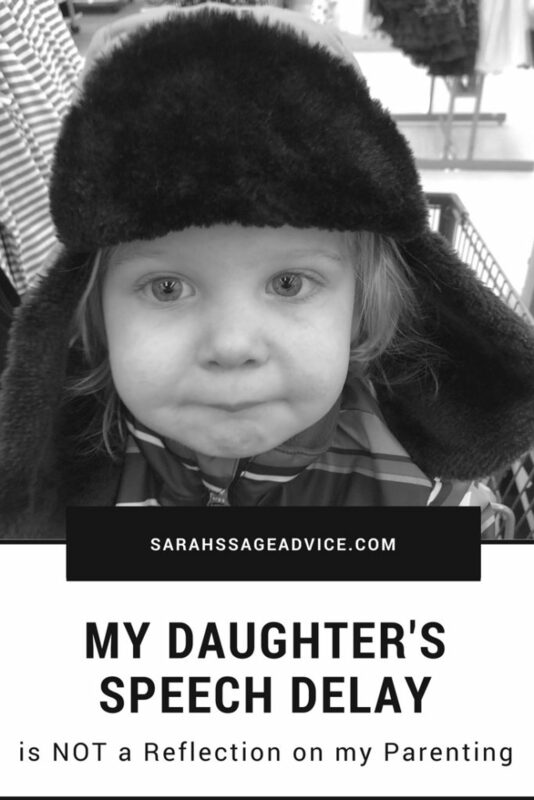 My oldest daughter has learning difficulties and it can be tough to manage. When people hear she is at a remedial school the assumption is she is dumb which is really not true! Thank you so much for this post!!! My son was born with a congenital heart defect and caused significant speech delays which he has greatly overcame a lot of in the last 3 years but he is still behind. The other day a family member looked at him and said to my 5 year old “I can understand your little brother better than you” and it broke my heart. It’s so hard momma but we got this! People have no tact when it comes to someone else’s child but the best thing we can do is support our little ones and be there for them.